Today’s test CoEs face a dilemma. Software testing has never been more important. But testing processes haven’t kept up with Agile and continuous software delivery trends. Instead of facilitating speed, testing has become a real bottleneck – forcing a tough tradeoff between speed and quality. We recently introduced CA’s vision of a Center of Developer Excellence (CoDE), which addresses the current disconnect between continuous software delivery trends and testing practices. In today’s blog, we show you how adopting a quality assurance (QA) framework can help you bring your CoDE to life and launch better software faster. Get ready to elevate and broaden the role of your test CoE. What’s the path forward? It’s time to decentralize testing to make app teams accountable for code development, testing and deployment. That doesn’t mean your test CoE gets relegated to the sidelines, though. Recognize that to make decentralized testing a success, you will need to take on a broader leadership role – establishing and enforcing standards, identifying best practices, mentoring functional teams, and brokering the tools and resources needed to produce top-quality software at speed. An important first step is to set the stage and establish a flexible, cross-functional QA test automation framework you can use to integrate and support all types of testing – from on-demand functional tests at the desktop to cloud-based performance tests run at load and in parallel across varying networks. Open-source compatible. Your framework should support scripting and test creation using the open-source tools developers are already using – from JMeter and Taurus to Selenium and Appium. Multiple provisioning options. Team members should be able to run tests at the desktop or from multiple geographical locations within a public or private cloud. Automation. You’ll want to automate static code analysis, unit tests, functional tests and performance tests so they can be launched from simple API calls, including multiple tests run in parallel in different environments. Configurability. You should be able to combine and reuse various test modules as part of a single configuration so you can evaluate software build, release and production snapshots. Reporting. For a continuous feedback loop, you’ll want to integrate the reporting solutions your teams use (e.g. Jenkins Performance Trend and others). You’ll also want to be able to group tests by builds, create pass/fail trend reports, and produce “deep dive” diagnostics using data from third-party systems like NewRelic and CloudWatch. 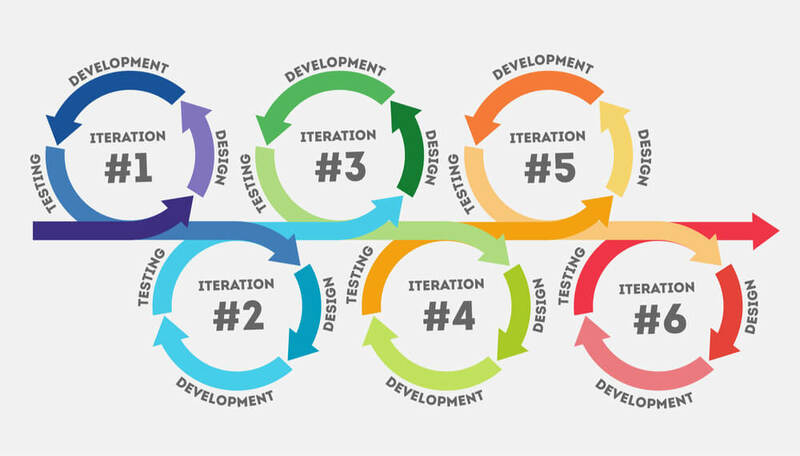 In the age of the modern software development lifecycle (SDLC), if your Test CoE relies on a proprietary test platform, it can become a real challenge to establish a QA test automation framework that will meet the application test needs for ten/hundreds of distributed Agile teams across your business. One that helps deliver quality applications rapidly to market. That’s why we’ve built our BlazeMeter platform from the ground up to be open source, in embracing the benefits of rich community based contributions for continuous improvements, while avoiding the heavy costs of vendor lock-ins and the pain/hassle of feature upgrades. Born of the cloud, with continued developer investments to e.g. JMeter community, BlazeMeter is well placed to help organizations that wish to continue their QA test automation journey into Open Source space. In transforming their Test CoE to adapt to the proliferation and complexity that Agile development and DevOps delivery brings. A SaaS based platform that offers ease of adoption, BlazeMeter bridges legacy test platforms today, with the agility for on-demand application performance testing and a 99.4% service level availability to meet the needs of your Agile teams. Providing cost efficiencies from an enterprise grade toolchain that is 100% compatible with industry leading open source testing tools. With BlazeMeter, everything is drag and drop, to load and go with no proprietary language to learn. Testing can become decentralized and multifunctional, with the Test CoE brokering for automated tools and test resources consumed by Agile teams in their allocated workspaces. As Test CoEs see the democratization of test services to the Agile teams, they do so with visibility of usage by teams through the use of drill down reports, for chargeback purposes. Development and DevOps teams across your business can now write and run massively scalable performance and functional tests against microservices, APIs and apps, including web and mobile. To be able to scale up to 2M+ virtual users for any project, and also scale out across multiple geographically dispersed projects in that same instant. In doing so, be able to emulate the networks of connected devices which these applications are expected to be used on. And they can do so without leaving their favorite application development tool. With Taurus, Agile teams are able to test early and often on their own, without being dependent on the availability of your test CoE. They can run tests right off their local machines the moment that code is written. Developers can perform frequent small finite scoped tests on their code in a self-contained IDE environment of their choice. Once ready, teams can then push their code into commit, for performance testing within the Test CoE. Another area where BlazeMeter helps developers code more, wait less – while helping the Test CoE draw up best practices of adapting to the needs of Agile developer teams. BlazeMeter offer extensive integrations with OOTB plug-ins to support your DevOps practice today. Accelerate your test automation continuously across the CI/CD pipeline – without having to do away with your existing legacy test platforms and processes. Take for example the way we Performance Test and Monitor applications today. As your developer teams performance test the application, your operations teams can leverage the tests associated to monitor the health of an app – without having to reverse engineer, create a script and adapt to every change. They can establish a comprehensive set of monitoring tests that run 24/7 and trigger automated failure alerts. All of this can also be encapsulated as part of a CI/CD process flow, making use of the BlazeMeter plug-in with Jenkins CI server today. Automate your regression tests with peace of mind for any code changes made to a specific release. These are just examples that BlazeMeter makes it simple for your test CoE to take on a broader role either in the Cloud or behind the firewall. You get tools that let you stage and manage infrastructure and consolidate test results into rich reports and interactive graphs. Ultimately, BlazeMeter helps you streamline your entire testing process for immediate feedback – helping you produce quality software at speed. Building a QA test automation framework can help you banish testing bottlenecks and improve the quality and performance of your applications. Visit our website to explore the features of BlazeMeter and learn more about setting up your own QA test automation framework. Also, stay tuned to this place. We’ve got an exciting BlazeMeter update coming shortly that you don’t want to miss. Meanwhile, remember to request for your free CA BlazeMeter demo!